Susser Trost, mein Jesus kommt (Kantate zum 3. Weihnachtsfesttag (Urfassung)). 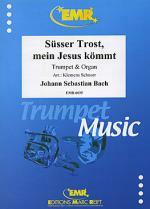 By Johann Sebastian Bach (1685-1750). Edited by Diethard Hellmann. 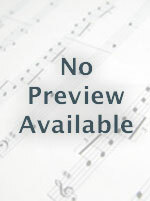 For SATB Soli, SATB Choir, Flute, 2 Violin, Viola, Basso Continuo, Organ. BWV 151. Score available separately - see item CA.3115100. Cantatas; Stuttgart Urtext Editions; Use during the church year: Christmas. Part: Flute. Language: German. Composed 1725. 4 pages. Duration 19 min. Published by Carus Verlag (CA.3115121). ISBN M-007-04942-3. With Language: German. Cantatas; Stuttgart Urtext Editions; Use during the church year: Christmas.